Fill fall nights with fright at Busch Gardens® Howl-O-Scream®. At the stroke of 6 p.m. the park becomes home to a host of creepy creatures that lie in wait for unsuspecting victims. 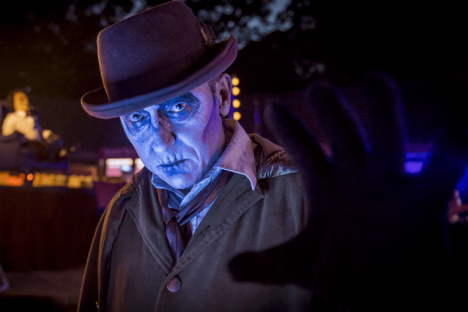 Fear abounds in the Virginia theme park’s collection of elaborate haunted houses, immersive themed Terror-tories™ and darkly entertaining live shows. Busch Gardens is open during the day, but becomes a seriously scary place at 6 p.m. when the haunts come out. Guests should consider when deciding whether Howl-O-Scream is appropriate for young children. The frights begin Sept. 23 and continue every Friday, Saturday and Sunday through Oct. 29. New this year, the park will stay open until midnight on select dates and expand to select Thursdays. Event is free with park admission. Parking is required. Dates and times are subject to change or cancellation without notice. An innovative engine that brings creative experiences and products to the world! Life is too short not to celebrate every occasion.